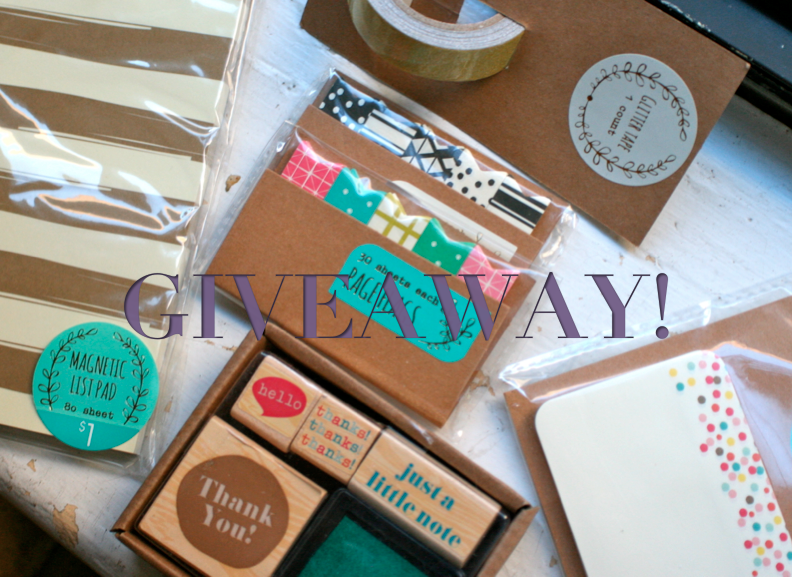 I am so excited about this little giveaway here. I am obsessed with the Target dollar section stationery. Obsessed! And I know I am not alone, so I picked up some extras of a few of my favourite items to give to you. With so many 'beauty blogs' out there in the internet world, I truly appreciate you taking the time to read and comment on my posts. The giveaway ends on March 31 (technically April 1st at midnight, Eastern time) and is open internationally. I will ship it where ever you live! Don't forget to leave your email address, so I can notify you if you win! Don't worry- I will not use your email for any other purpose. Thanks again so much! I am so excited for this month. If you missed my post earlier, I am blogging everyday! Update: Thank you so much everyone for entering, reading, and leaving your comments! The giveaway is now closed & winner is announced here. I look forward to hosting more giveaways in the future! I'm looking forward to all of the springy colors and to see which one is the most popular. Usually it is mint. So we shall see! Thanks for the great giveaway! The onespot is such an addiction...but you can not beat it for a dollar! I do love mint! Thanks for reading & entering the giveaway! Yes! I need to get creative! Thanks for reading & entering! i've also fallen in love with those target goodies - unfortunately i live in germany and don't have access to them so it would be great to win these in your giveaway! I found your instagram today, so glad I did as I love your pictures and blog. Filofax goodies are great! I wish we had Michael's or Joanns here in the uk!